Narcos has some new company. Deadline reports Andrea Londo has joined season three of the Netflix TV series. Season three of the drama will chronicle the Colombian drug trade after the death of Pablo Escobar. The cast includes Kerry Bishé, Arturo Castro, Matt Whelan, and Michael Stahl-David. Londo, who has previously starred on Faking It and Catfish, will play “Maria, a young and beautiful former Colombian beauty queen who is clever and knows how to survive.” Season three of Narcos is expected to debut in 2017. What do you think? Are you a fan of Narcos? Are you excited for season three? 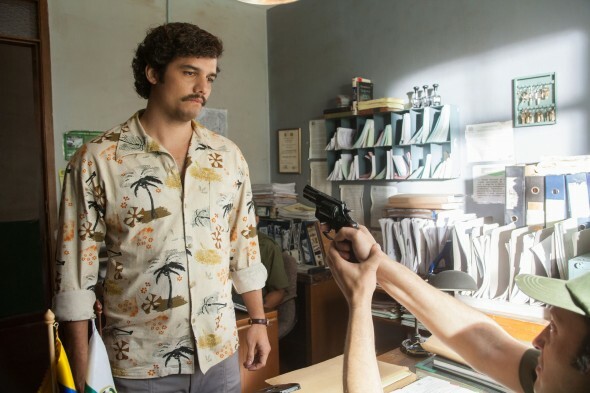 More about: Narcos, Narcos: canceled or renewed?, Netflix TV shows: canceled or renewed? Narcos: No Season Three for Netflix Series?